CLT-K506L CLT-C506L CLT-M506L CLT-Y506L laser Toner Cartridge is guaranteed to perform with your Samsung laser printer. It replaces the original CLT-K506L CLT-C506L CLT-M506L CLT-Y506L laser Toner Cartridge. 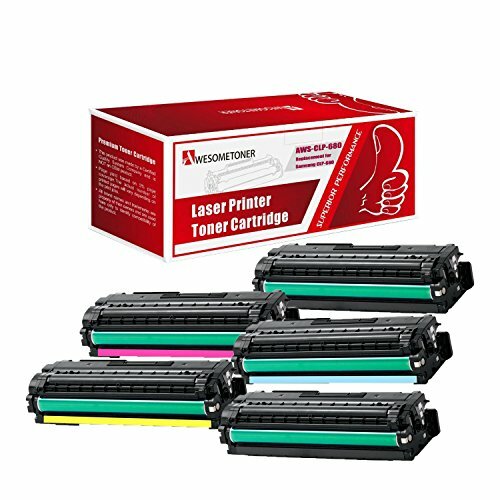 The compatible replacement CLT-K506L CLT-C506L CLT-M506L CLT-Y506L laser Toner cartridges and supplies (also known as generic) are specially engineered to meet the highest standards of quality, reliability and exceptional yields that meet or exceed OEM (Original Equipment Manufacturer) standards for the CLT-K506L CLT-C506L CLT-M506L CLT-Y506L and offer high-quality printing results.